Mericle thanks you for taking the time to review information about our available office space at 1061 Hanover Street. This 30,147 square foot space is located in a Mericle flex building and has been converted into a complete office environment. The entire space is fit-out as call center/office space with plug-and-play possibilities with existing systems furniture and furnishings. The past office tenant was WNS/Travelocity. The space features full glass sliding doors, multiple ceiling heights, decorative wood wall trim, wood chair rails, and office doors with sidelights. The property features parking for approximately 204 vehicles and a secured, covered outside patio. 1061 Hanover Street is just 1.75 miles from I-81 via S.R. 29. The building is located in close proximity to many local communities. More than 13,300 people living within 20 miles of the building are unemployed. Several prominent office companies have enjoyed great success staffing their operations in the park. Mericle’s full-time Property Management Department is available 24-7 to make sure your space stays in tip-top shape at all times. Why Choose Hanover Industrial Estates? 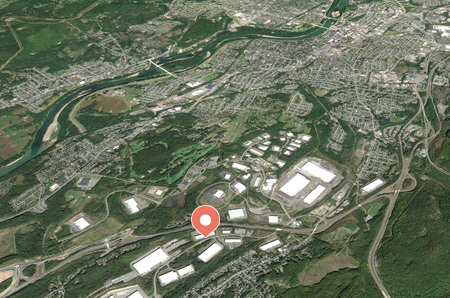 Hanover Industrial Estates has long been a premier business park in Northeastern Pennsylvania. 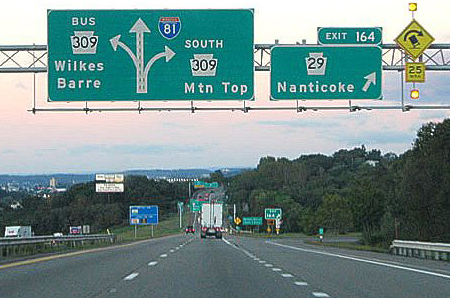 The park’s quick access to highways, close proximity to labor, and strong infrastructure, have combined to recruit companies such as Adidas, CVS Caremark, Sallie Mae-Navient, Sears, the American Red Cross, Mondelez, Cintas, Chewy.com, Genpact, Telerx, Harte Hanks, Patagonia, and many others. Mericle will be your partner from site selection to design to construction to property maintenance. We have developed 22 million square feet of office, medical, and industrial space in Northeastern Pennsylvania, never once having missed a client’s occupancy deadline. We have successfully delivered customized office space to a wide variety of companies including Geisinger, Boden USA, Telerx, C3i, Maximus, RCN, Merrill Lynch, Cumulus, New Horizons, Genpact, Sallie Mae, LPL Financial, Benco Dental and many others. Our in-house architects, designers, engineers, and construction professionals, will work closely with you to customize 1061 Hanover Street to your exact needs.